Archive for the ‘Back to School’ Category. 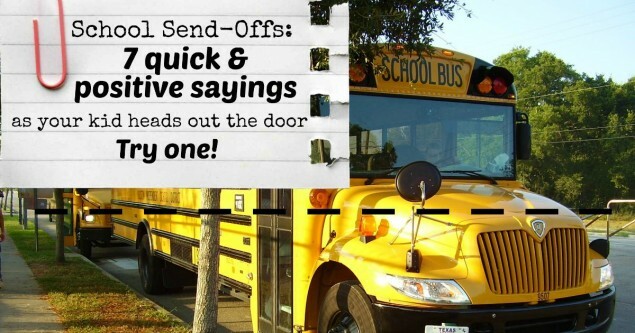 How to Carpool. . .Scripture Music Style! Last year, I decided we would make the most of our drive time on the way to school on the days I take my two plus three other kiddos. TIP: This idea can be applied whatever time of the week works best for you…not just carpool drive time. 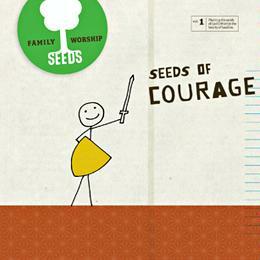 We used the Seeds of Courage music to learn a verse a month. Each song is Scripture set to music. The Seeds collection is perfect for school age kids…preschoolers and even middle schoolers enjoy them. However, if you only have preschoolers, I recommend Steve Green’s Hide ‘Em in Your Heart Volumes 1 and 2. Month after month through the school year, we had great discussions about God’s Word and added verses to our list of memorized Scripture! My husband and I were struggling with if/when to have our kids’ tonsils removed. Between the two of them, they had strep 20 times in 2 1/2 years! I shared with the carpool kids how our family was seeking God’s wisdom as in the verse because we weren’t sure what to do. Through a series of events, God made it clear that we needed to go ahead and have the surgeries. God helped us figure out the things we didn’t know! Want to help your child know what God has to say about different topics? Parenting with Scripture: A Topical Guide for Teachable Moments! Anyone know of straight Scripture set to music that appeals to teens? Please share in the comment section! Lunchbox Fun…Prepare for Back to School! 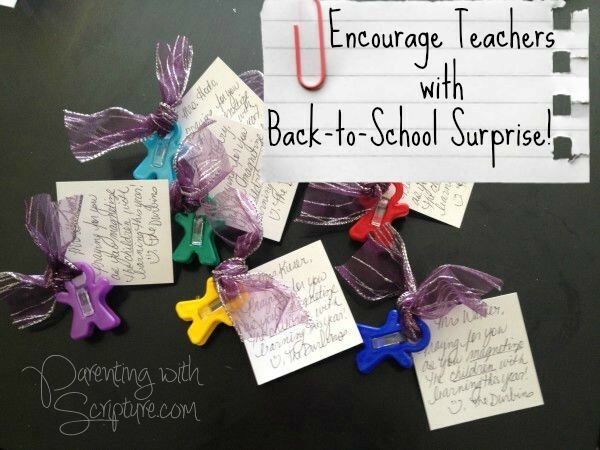 School is quickly approaching so I thought I’d share this idea for parents who like to be prepared! My kids love finding fun notes or pictures from me in their lunchboxes, but it gets challenging to be creative. I stumbled upon this gem in the Focus on the Family Visitor Center’s Bookstore when we were passing through Colorado Springs last year and my kids have given it a thumbs up! Each perforated page contains jokes, riddles, or tongue twisters, a Bible verse, and a section to handwrite a note. So that we don’t consume them as quickly, I only pull two pages a week and send them one day with each kid and then swap them the next. Please share your ideas or resources for making your child’s lunch box experience special/memorable!